The selection and breeding of low grain-cadmium (Cd)-accumulating rices is a promising approach for reducing the Cd concentration in grains. A cadmium-safe rice line designated D62B (Oryza Sative L.) accumulated a low Cd concentration in brown rice for safe consumption (< 0.2 mg kg−1). D62B was a great potential breeding material with a weaker translocation capacity of Cd to shoot compared with common rice lines. A prior understanding of the Cd translocation mechanisms in D62B offered theoretical basis for breeding new low-Cd-accumulating rice cultivars in the future. 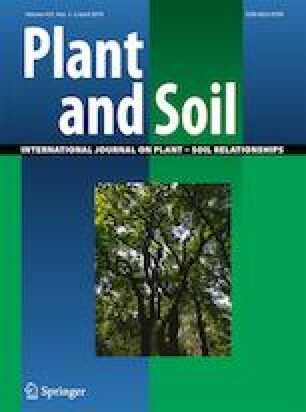 A pot experiment was conducted to investigate the changes of non-protein thiols in shoot and root of D62B in comparison with a common rice line (Luhui17), and then the relationship between the Cd translocation via xylem and organic acids in xylem sap of two rice lines was explored by a hydroponic experiment. D62B showed lower Cd translocated to shoot in comparison with Luhui17. The translocation factor (TF) of D62B varied from 0.11 to 0.15. Cd exposure promoted the synthesis of non-protein thiols in two rice lines, particularly in roots. Syntheses of glutathione (GSH) and phytochelatins (PCs) in root of D62B were greater than those of Luhui17. Cd concentration in xylem sap of D62B was significant positively correlated with the malic acid, citric acid and tartaric acid concentrations. The citric acid and tartaric acid concentrations in xylem sap of D62B were significantly lower than those of Luhui17. There was no significant difference for malic acid between two rice lines. More GSH and PCs in root of D62B was beneficial to Cd retention in root. Furthermore, the involvement of lower citric acid and tartaric acid in Cd translocated in xylem sap of D62B resulted in lower Cd accumulation in shoot. This study was supported by the National Key Research and Development Program of China (2018YFD0800600), the National Natural Science Foundation of China (41807147), the National Science and Technology Support Program (2015BAD05B01) and the Key Research and Development Programs of Sichuan Province (2017SZ0188), (2017SZ0198) and (2018SZ0326).